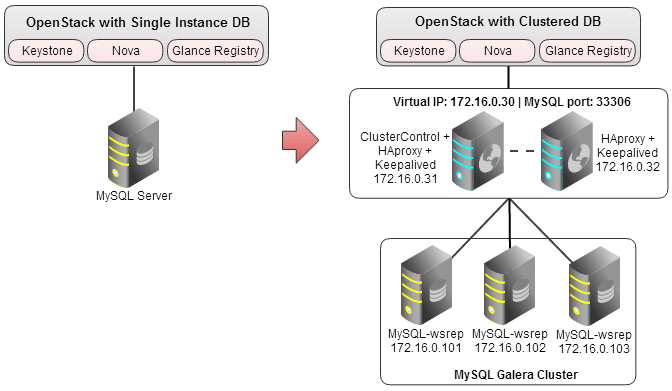 In this post, we will setup up high availability clustering for the MySQL backend in OpenStack using Galera Cluster and ClusterControl. 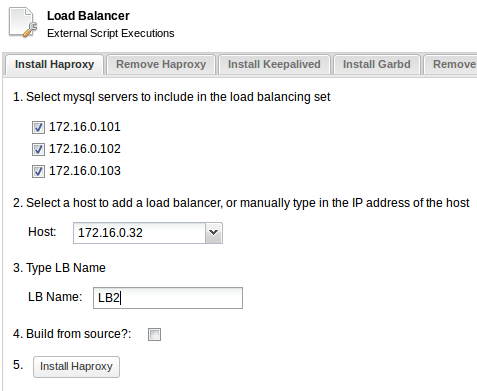 You will learn how to set up a multi-master MySQL setup, fronted by a redundant HAProxy load-balancer. Our end goal is to achieve resilience to database failures, and allow OpenStack components to communicate with the database nodes via one Virtual IP address. 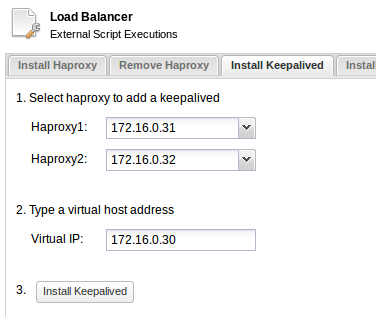 We will need five hosts, three to run MySQL-wsrep with Galera Cluster, and two for ClusterControl/HAProxy/Keepalived. Please note that deploying MySQL Galera Cluster using the following way will remove any existing OpenStack dependencies, for example mysql-libs in the designated host. So we advise you to not co-locate it with your OpenStack controller. 1. Use the Galera Configurator to generate a deployment package for Galera, and run it from the ClusterControl host. 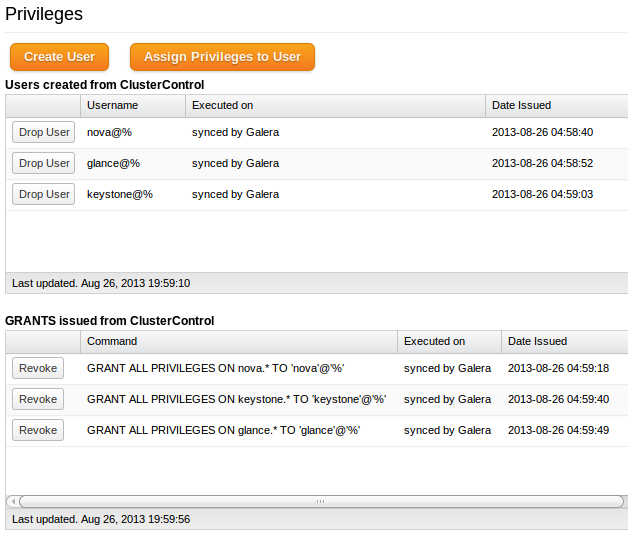 The deployment package will install the Galera Cluster as well as ClusterControl. For instructions, read this blog post on how to automatically deploy Galera. 2. Next, we will install HAProxy. You can set up one instance on the ClusterControl host, and a second one on another host. Make sure that the ClusterControl host can do passwordless SSH to the new host where you will install the second HAProxy instance. 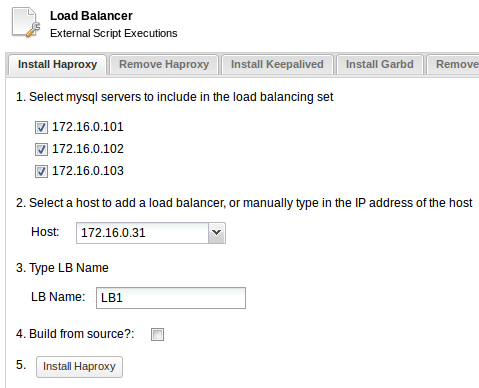 Install HAproxy on the ClusterControl host (172.16.0.31) using Manage Load Balancer. You can monitor the status of the installation in your ClusterControl UI under Jobs. If you are migrating from an existing OpenStack database, you might need to stop the OpenStack related services for each component and migrate the data manually. Then change the connection string so the components start using Galera instead.